See the famous Melbourne Cricket Ground, one of the city's most recognizable landmarks. It is the 10th largest stadium in the world and the largest in the Southern Hemisphere. Visit the Royal Botanic Gardens which houses some of the most diverse and comprehensive botanical libraries in the city. You may also try a Devonshire Tea (at own expense) or take a walk by the lake. Depending on your chosen package, enjoy a leisurely wooden punt ride cruise on the Ornamental Lake of Royal Botanic Gardens. Learn about the history, wildlife and environment of the city from your expert guide and punter clad in period clothing. Docklands is a suburb of Melbourne and a part of its most recent urban development plans. It is home to a number of modern landmarks such as Etihad Stadium and the Melbourne Star Ferris wheel. Then, see an amazing view of the city from Bolte Bridge. Travel by the beach to the trendy St. Kilda where you can find Acland Street, a bustling area filled with unique food hubs and bars. You may opt to try a local favorite, continental cake paired with tea or coffee at your own expense. After exploring Acland Street, venture into the fashionable suburbs of Elwood and Brighton. See the colorful Brighton bathing boxes as you walk along the beach. After continuing the tour through Fitzroy Street's bars and restaurants, make your way to Albert Park. This massive expanse spans 2.25 square kilometers and is where the Formula One Grand Prix is held. 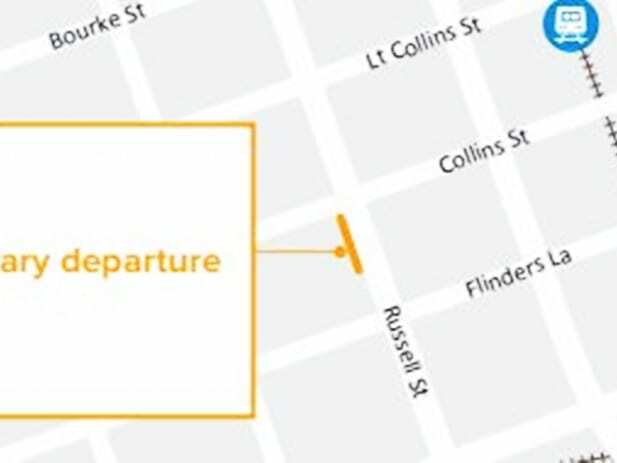 The meeting point is opposite the Grand Hyatt on Russell Street. Please be there 15 minutes before the tour departs. Please refer to the list of available hotels. Please be ready at least 10 minutes before your scheduled pick-up time. Any cancellations made after 13:25 local time, 1 business days prior to the activity will be subject to a charge of 100% of the total amount. The driver is funny and very knowledgeable.